The Galway East TD and chairman of the party is quitting six months after voting against the Budget. 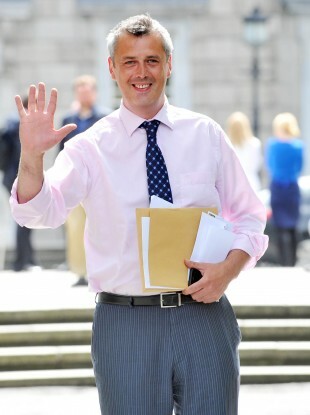 COLM KEAVENEY HAS resigned as chairman and as a member of the Labour Party this afternoon, citing a situation which he said “is increasingly like a political charade”. The Galway East TD issued a detailed statement this afternoon confirming earlier reports that he intended to resign his position six months after voting against the Budget and amid increasing tension between him and the Labour leadership. Keaveney had refused to relinquish the chairmanship of the party despite being outside the parliamentary whip since voting against the Budget and had also publicly differed with the party’s position on a number of issues including the Protection of Life during Pregnancy Bill. His resignation makes him the second Labour TD to quit the party in less than a week after Patrick Nulty’s resignation last Friday. This will fuel speculation that the newly independent TDs and other Labour dissidents including former minister Róisín Shortall could form a new party. In a statement today Keaveney said that cuts to Special Needs Assistants, resource hours and the mobility allowances are part of a “consistent approach” by the government where, he claims, “those groups least able to defend themselves are targeted for decisive action, while powerful vested interests are left untouched”. “Unfortunately I can no longer go along with what is increasingly like a political charade,” he said. He said he feels “alienated” from the leadership of the party as a result of the policies it is pursuing in coalition government and said he no longer feels welcome by them. “I am in no doubt that my presence is no longer welcome by them. A party cannot function on that basis,” he said. Keaveney has recently come out against the proposed abortion legislation citing concerns with the lack of term limits in the bill. He apologised to party members for this but said he had genuine concerns about the law. “Labour is a pro-choice party and I never had a difficulty with that until it came to considering the recent legislation,” he said. However, I believe it is right to question all legislation in order to ensure that what we deliver is just and workable. I hope that all can appreciate that my approach is honest and made with the best of intentions even if they disagree. Keaveney said he intends to continue in his role as a TD for Galway East and took aim at Cabinet ministers from the Labour Party, saying: “I will not breach the contract that they [constituents] made with me just for the sake of staying in a position. Email “Colm Keaveney resigns as chairman and as a member of the Labour Party ”. Feedback on “Colm Keaveney resigns as chairman and as a member of the Labour Party ”.